Today I have more photos than words. Our ship entered Sydney harbor just after dawn this morning. We were out on the balcony watching the magnificent cliffs and several lighthouses marking the way. A few days ago Sydney had record high temperatures, but today it was in the 70's. We had tickets for the "Aussie Wildlife" tour at 9am, so we had to be out early again. 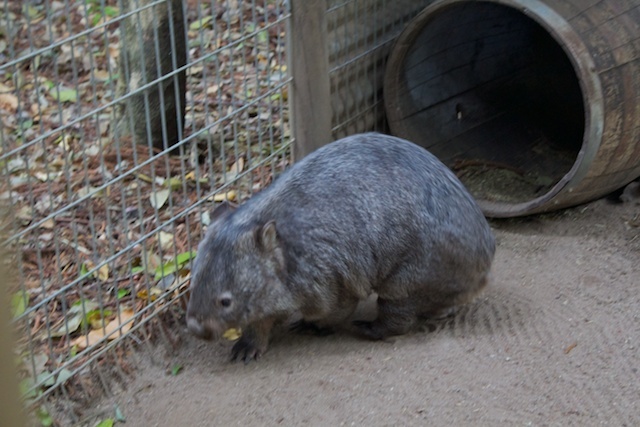 Our bus took us about an hour west of the city to the Koala Park Sanctuary. 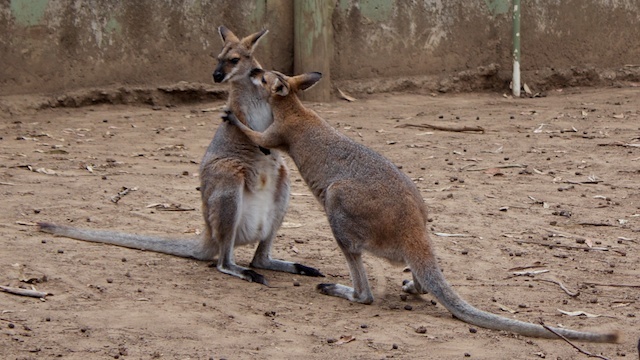 This is a small zoo with more than just koalas. 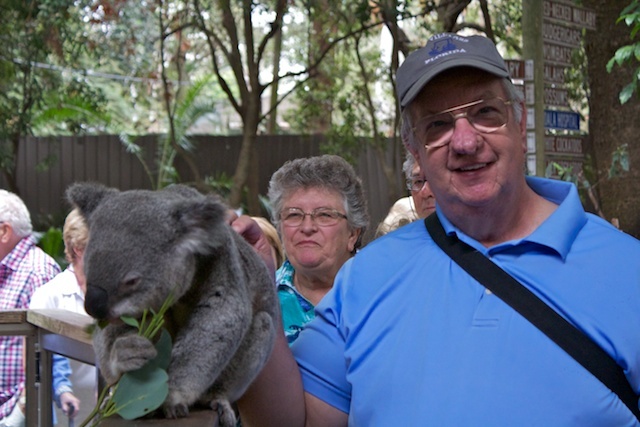 It is however, the first chance we had to actually pet a koala. 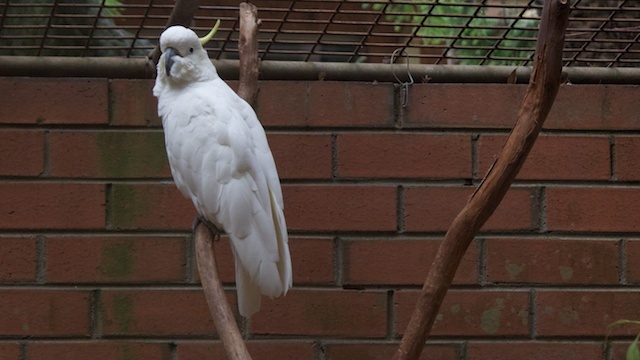 We also saw kangaroos, wallaroos, several varieties of wallabies, wombats, dingoes, possum, peacocks, several kinds of parrots and cockatoos, and sheep. 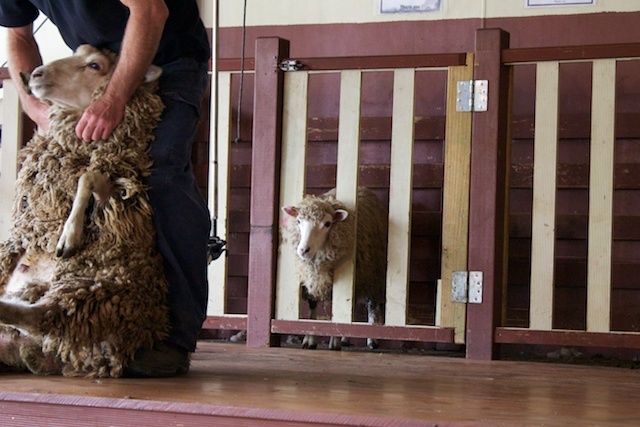 We also got to see a demonstration of sheep shearing. It was very interesting to see how little the sheep seemed upset by this process and how they could actually get all the wool off in one piece. The only one who seemed concerned was the lamb the shearer brought up with it's mother. 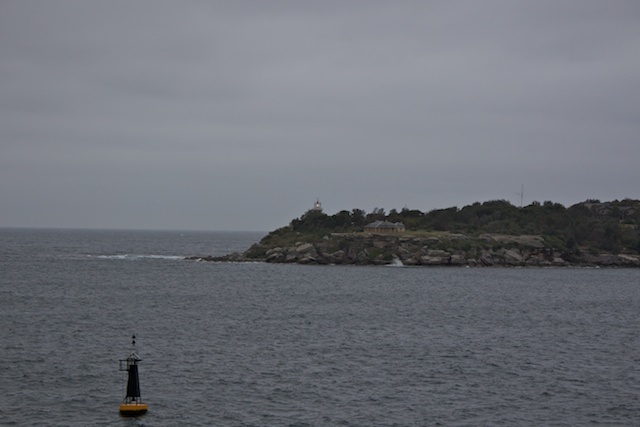 The ship will be staying here in Sydney overnight tonight, so there is still time to explore. We have another special tour booked for tonight. La Boheme is being performed at the Sydney Opera House tonight and we have the opportunity to attend, along with a reception prior to the opera. 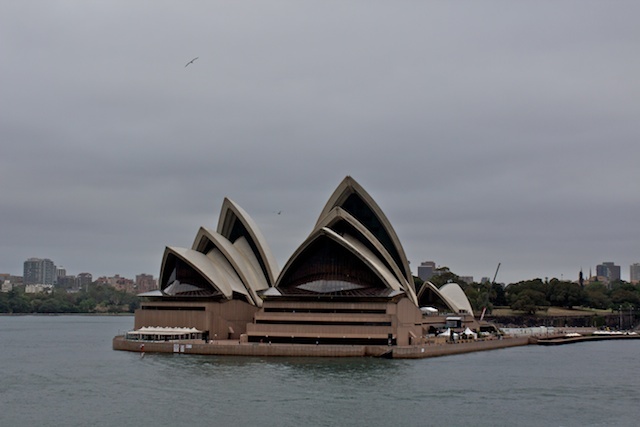 We have heard that the acoustics in the opera house are not the best, but the Opera House is one of the most recognizable buildings in the world and we couldn't pass up a chance to see an opera performed here. I am writing this early today because this is the end of the first segment of our cruise. Regent will be shutting down internet service for a while tonight and tomorrow morning so they can finalize bills for the passengers who will be getting off the ship tomorrow morning. Many people seem to have booked the segments from Singapore around western Australia to Auckland and around New Zealand ending here in Sydney, Australia. Departing passengers are supposed to be off the ship by 8AM tomorrow. We have a tour booked for 9AM, so we'll be right behind them. Our butler told us the ship is 100% sold out in the next segment, so it looks like we will get a lot of new passengers boarding tomorrow when we get back from our tour.